Every since my family moved to Melrose, I have felt that the city welcomed us with open arms. When the Melrose Human Rights Commission and the City of Melrose held a contest to redesign the logo, I jumped at the opportunity to show my love and pride for Melrose. I was moved to create a symbol that encapsulates the city’s sense of love and community. I wanted to send a clear message that Melrose is welcoming and that we rise up for equality with One Heart Melrose. 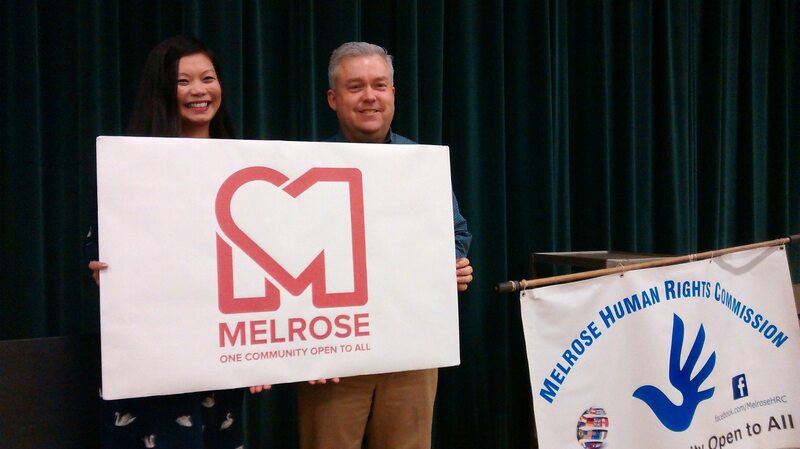 I’m over the moon thrilled that my logo was chosen to represent the Melrose Human Rights Commission, “One Community Open to All”. The new logo was revealed at the 15th annual International Welcome Potluck dinner and I got to take a photo with Mayor Dolan! 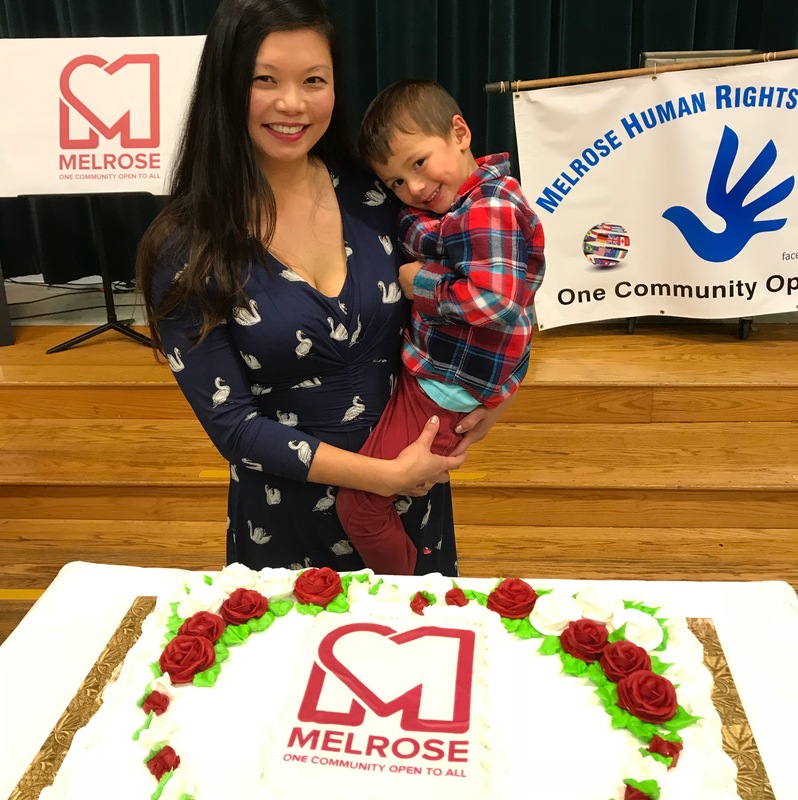 Melrose Human Rights Commission: One Community Open to All. New logo on left, old logo on right.